If I have learnt anything over the past six years of blogging is that being selective and critical is the best advice anyone could give you when it comes to style, trends and fashion in general. Trends can be so wonderful and tricky at the same time, so you have to be careful and selective to correctly incorporate them into your wardrobe. I have already written a piece about trends and how to correctly follow them quite recently, so if you'd like to read a more in-depth post about that click here. Instagrammers and bloggers have influenced my style quite a lot over the past few years, which evidently shows in my clearly overpacked wardrobe. I used to be one of those people who bought clothes because they looked great on other people. This resulted in large amounts of leather jackets, fedora hats, sock boots, red everything etc. My wardrobe couldn't take it anymore, so I have decided this time around to willingly say NO to the following trends, which don't suit me or my style. Experimenting with fashion is of course one thing I love to emphasise and encourage all the time, but when it comes to some particular trends I know they won't suit me, my budget or my taste, I now say no thank you and simply move onto the next one. This doesn't mean I don't approve of other people wearing them, but just the fact that I cannot see myself wearing them in the future, makes my decision very clear and easy. That's why I came up with this post to list some of the upcoming trends I am not that fond of. So here they are, 5 fashion trends I will not follow this autumn. 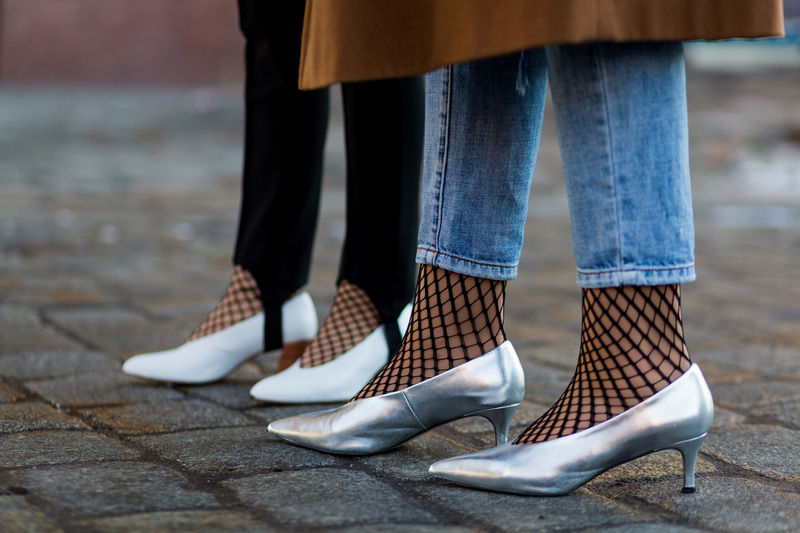 Somehow we have entered a point where literally everybody has been wearing these fishnet stockings. And even though this trend started around spring time, I still see it on every social media site. They are being worn under jeans and shown over the waist, peeking through ripped denim or the simplest way, as socks. They add a cool and edgy vibe to your outfit, but they look a bit ridiculous to me to be completely honest with you. I find them rather intimidating and I definitely cannot pull them off, so I will be staying away from this trend for sure. One of the biggest summer fashion trends were clinched and belted waists, which were seen on nearly every runway and of course, street style. They are evidently continuing to the autumn time as well. So what is the reason I don't like them, you may ask? I feel like they cheapen an outfit and I can't imagine myself wearing a waist clincher. This is one of those Instagram trends that won't be sticking around for much longer, so that's why I'm giving it a miss. Making you waist appear quite small is I suppose every woman's dream. However, if you are trying to achieve that with a huge statement belt the effect can unfortunately be quite the opposite of what you are after. 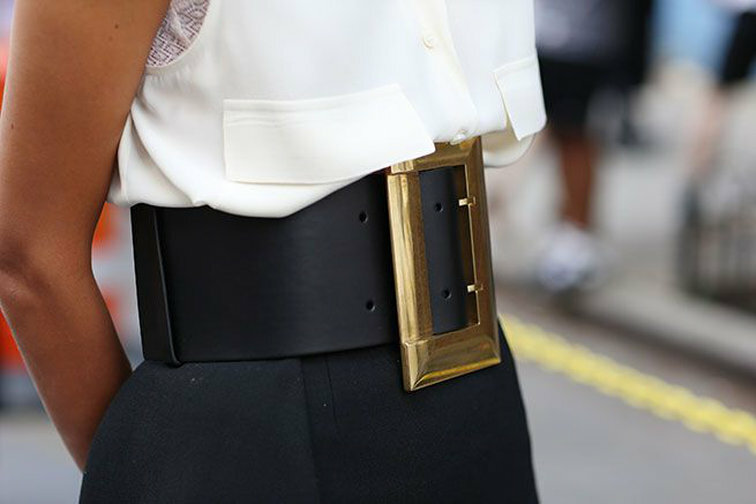 When you put an over-the-top statement belt around your waist, it undoubtedly puts all the focus around that area. Everyone's attention will go straight to your waist and if you're not particularly tiny around your waist area, you will enhance it even more (my theory of course, don't quote me on that). I find the statement belts to be completely over-the-top and again, simply don't go well with my style. This autumn I think I'll rather stick with my chokers, earrings and other accessories to complete my look. After a few fashion seasons of the '70s, we are finally moving onto another decade - the 80s, which I've already presented in one of my this year's fashion week looks (click here). 80s are all about eccentric looks, with neon colours, puffed-up sleeves and dramatic ruffles. Even though I'm a huge fan of the 80s office wear (which you already know if you have read my previous post), I think I will pass on the so-called 80s glam, and will rather stick to the 70s, which I've learnt to love and embrace, 80s office wear and of course give a special attention to the everyone's favourite - the 90s. Last autumn it was all about statement fur, but we are getting back to its original form. 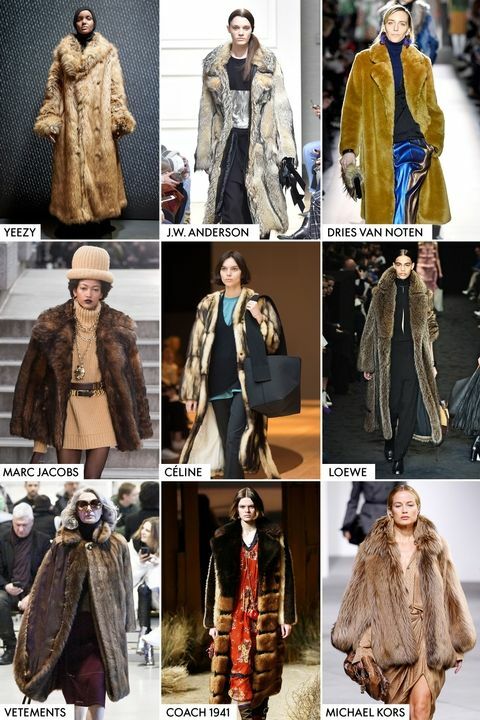 This fall the focus will be around vintage inspired furs, looking like you borrowed them from your beautiful and fashionable great-grandmother. In the past few years I have realised that (faux) fur doesn't really suit me or my taste. It's looks way too chunky on my body frame and makes me appear like I'm trying too hard to be fashionable. So yeah, this is a hard pass for me. That's it! Five trends for the autumn time that I won't be following. They may work for you, so don't worry, I'm not judging you. I'm pretty sure you also have trends that don't suit you - so don't be scared or hesitant and tell them in the comments below. I'd love to read about your passes for this autumn. I don't like all that trends too!